I love it when a book truly takes you out of yourself and gives you a glimpse of life from someone else’s perspective. This month I’ve read two such books – ‘Becoming Kirrali Lewis’ by Jane Harrison and ‘talk under water’ by Kathryn Lomer. I closed both books with a sense of slight disorientation; suddenly acutely aware of, for one example, the lack of Aboriginal faces on our television screens* (Becoming Kirrali Lewis); and just how much we rely on sound in our everyday life (talk under water). 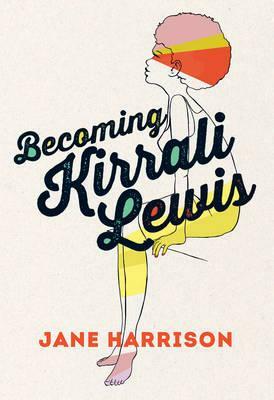 ‘Becoming Kirrali Lewis’ is a fantastic novel about a young woman discovering the truth about her identity. An Aboriginal girl adopted by a white family, Kirrali has no desire to look for her birth mother – the woman gave her up, after all, plus she already has a fantastic family, who have taught her all she needs to know about her own culture. But then she starts studying law. At uni she meets all sorts of other people, including Erin who teaches her that some Aboriginal women were forced to give up there babies right up until the 60’s and 70’s. This leads to a lot of searching and plenty of surprises as Kirrali learns that there’s a whole lot more to being Aboriginal than what they say on television. 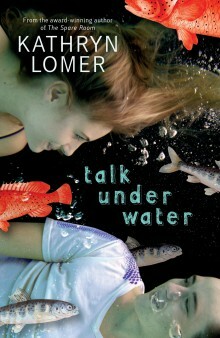 ‘talk under water’ by Kathryn Lomer gives some insight into yet another under-represented culture – the Deaf. Will’s parents have seperated, and his dad has torn him away from his home-town of Kettering to escape to NSW. Following the facebook page of his hero – Jessica Watson, who circumnavigated the globe solo at age 16 – he sees a post from Summer – also of Kettering. He sends a message, and Summer replies, and the two begin a friendship. But then Will gets the best news ever – he and his dad are moving back to Kettering! Summer does not seem so enthusiastic and when Will turns up on her doorstep he discovers why – Summer is deaf, and she never mentioned it once. Though their friendship hits a rocky start things soon improve and Will learns quite a lot about the Deaf community and communicating in sign-language, but in the process he also learns a lot about himself. These were both fantastic books to read, and I highly recommend them both! *to be completely honest, we don’t have a television – maybe a kind reader can reply and tell me I’m misled on this one (we can always hope, right?)? But what I based my comment on is my children’s DVD collection. I cannot think of a single Aboriginal character in any of them.